Whether it is a partnership business, an entrepreneurship, or a corporate business, understanding the basics to account for business transactions is very important for the smooth running of business. Without knowing how to maintain your books, and what the different ways are to maintain them, you may not be able to properly present the information to people associated with the business. For example, there are many partnership businesses and limited liability companies (LLC) that are taxed as partnership businesses, where you are required to maintain two types of books. One book is maintained on the basis of Generally Accepted Accounting Principles, and the other one is based on the tax basis. Books, maintained on the basis of Generally Accepted Accounting Principles (GAAP), record business transactions according to the rules defined by the financial accounting board, whereas, in the tax books, transactions are recorded according to the rules of the Internal Revenue Code to calculate the taxable income. However, there is another set of books that should be maintained by businesses, but are often not. These books are known as Section 704 (b) books, and these books are prepared in accordance with the rules defined under the Section 704 (b), and try to depict the economics of the deal. 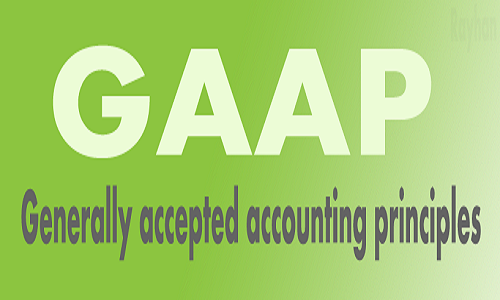 As already discussed, books prepared in accordance with the rules of GAAP are based on financial accounting principles. But the aim of 704 (b) books is to disclose the substantial economic effect of the allocation among partners. According to the regulations defined in 704 (b), capital accounts should be maintained as per the specific rules that are neither a part of GAAP or tax. For example, if a property is contributed by a partner as a part of a partnership business, then under the section 704 (b), capital account for the contributing partner must be credited with the FMV or fair market value of that property. Similarly, if the property is distributed, the capital account of a distributee should be debited with the fair market value of that property. No special appraisal is required to identify the fair market value in maintaining the books under section 704 (b). As per the regulations, all the partners can agree on the fair market value if the parties are adverse and it is an arm’s length transaction. Generally Accepted Accounting Principles or GAAP are imposed by businesses in order to bring a minimum level of consistency in financial statements that is useful to analyze companies for the purpose of investment. Different businesses follow GAAP rules to prepare financial reports for stakeholders. Unlike 704 (b), under the GAAP accounting methods, fair market value of an asset is only adjusted on certain events that are known as “book up” or “book down” events. For example, if a new partner is joining a partnership business, the existing partners may wish to restate their books capital account, and for business purposes, they are permitted to document their ownership in the appreciation of assets that accrued before the new partner joined the firm. In a partnership business, three sets of books are always required that are prepared in accordance with the tax laws to calculate the taxable income, GAAP to calculate the business income and 704 (b) to calculate the economic effect of business transactions. Let’s assume that there are two partners in a business, Partner A and Partner B. Partner A brings the funds of $1,000, whereas, Partner B brings the property with the fair market value of $1,000 in a partnership business. B claims accelerated depreciation, which reduces the tax basis of a property value to $400. The straight line depreciation method used for GAAP accounting, which decreases the value of a property to $700. Now the value of property contributed by B will have the following basis: $700 for GAAP, $400 for tax purposes, and $1,000 for section 704 (b). To calculate the depreciation of the depreciable property under section 704 (b), it should have the same ratio as tax depreciation has to the tax basis, unless it is done according to the remedial method under section 704 (c). Liquidation – At the time of liquidation, the proceeds should be distributed among the partners in accordance with the positive capital accounts. These are referred to as Section 704 (b) capital accounts, and not tax or GAAP capital accounts. In case of GAAP, the proceeds are distributed among the partners according to the income and loss sharing ratios. Why to maintain Section 704 (b) and GAAP Books? –Section 704 (b) books are required to be maintained, because it is generally required by the tax law, but you are not required to show these books on the partnership’s tax return balance. Secondly, these books are used to identify the economic substance of the deal. GAAP books, on the other hand, are required to be maintained in order to meet the reporting requirement of the business, and to show consistency in the financial information presented to the shareholders and other stakeholders of the business. Hira Waqar. "Difference between GAAP and 704 (b)." DifferenceBetween.net. August 25, 2015 < http://www.differencebetween.net/business/difference-between-gaap-and-704-b/ >.